Frequently asked questions about Infectious Bronchitis and vaccination against IB. What is the main purpose of vaccinating broilers and layers against Infectious Bronchitis? Answer: In broilers vaccination is done to prevent respiratory problems caused by the Infectious Bronchitis virus. The consequent economic losses from &lpar;secondary&rpar; infections, such as increased use of antimicrobials, reduced weight gain, increases in carcass condemnation and increased mortality are reduced. 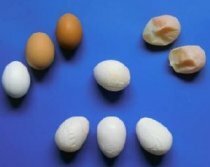 Vaccination of layers and breeders prevents economic losses due to decreased egg production and poor egg quality. When necessary, vaccination is done for the prevention of renal damage caused by infections with some IBV strains that target the kidney. When can IB vaccines be applied? Answer: In general milder live vaccines &lpar;Ma5&rpar; can be used from 1 day of age onwards. A period of 2 weeks should be left between the applications of 2 live vaccines. The inactivated vaccine is usually used at around 16 to 20 weeks of age. A period of 4–6 weeks should be left between the last live IB vaccine and the inactivated vaccine. For more information see Vaccination programs. Must a new vaccine be developed in the presence of a new serotype or variant virus? Answer: Upon the emergence of a new serotype or variant of IBV it may be necessary to develop a new vaccine and include it in the vaccination program. Nevertheless this is not always necessary if the new virus falls into the protective range &lpar;protectotype&rpar; of currently available vaccines. For more information see Serotypes & protectotypes. Is an inactivated Massachusetts vaccine necessary for the protection of layers and breeders during the production period? Answer: Yes, for the best protection of layers and breeders an inactivated vaccine is necessary. Layers and/or breeders primed with a Ma5 vaccine and vaccinated with an inactivated vaccine based on the Massachusetts &lpar;M41&rpar; serotype will develop high levels of &lpar;VN&rpar; antibodies both against this serotype and also related serotypes. For more information see Trials inactivated vaccines. When vaccinating against IB, when do interference problems occur? Answer: Interference may occur when vaccines that compete for the same target cells are combined &lpar;for example live Infectious Bronchitis, Newcastle Disease and/or Pneumovirus vaccines&rpar;. At least one week should be left between each vaccination. Otherwise, an Ma5 vaccine should be used. Vaccine strain Ma5 does not interfere with Newcastle Disease vaccines Clone 30 or Hitchner B1. 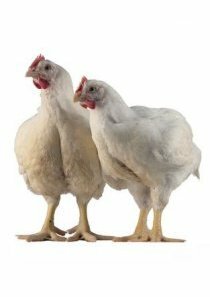 Read about Infectious Bronchitis in chickens.